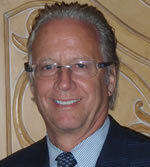 Brian Holly has a wide variety of expertise in Brand-Affiliated Hotels as well as Independent properties. He has also worked in every management position in hotels, including Director of Sales and Marketing, Director of Food and Beverage, and Rooms Division Director as well as several assignments as General Manager and Managing Director. Holly attended Farleigh Dickinson University majoring in education. While student teaching, he accepted a Restaurant Manager position within Marriott Hotel Corporation in food and beverage and was immediately attracted to the hospitality culture. Beginning in Philadelphia, he accepted management positions in Food and Beverage and Rooms Division in Washington, DC., San Francisco, and Orlando Florida. Holly also opened more than 20 hotels as a member of the Marriott Food and Beverage Task force. In 1987, Holly accepted the position of General Manager of the WB Johnson-owned Holiday Inn at Madera Beach where he successfully increased the occupancy by 12% by prospecting and converting local corporate accounts. In 1990, Holly accepted the position of Resident Manager of the Sanibel Harbour Resort and Spa in Ft. Myers, Fl, in 1991 was promoted to General Manager and then to Managing Director in January 2002. This 94 acre, 600 room hotel and condo resort won many awards under Holly’s direction, one of which was the coveted Four Star by Mobil, another being ‘One of the Top Ten Spas in the Word” by Conde Nast. Upon the sale of the Resort in 2008, Holly joined forces with Fred Hirschovits, founder of Twenty/Twenty Worldwide Hospitality, LLC and opened the Holiday Inn Ft. Myers Airport @ Town Center. The Hotel won the prestigious “Newcomer of the Year Award in year one of its existence and “Quality Excellence” Award in year two, both awarded by Intercontinental Hotels Group. Brian Holly’s individual accomplishments have been recognized by Marriott Hotels, where he was named Most Creative Food and Beverage Director in 1985; Florida Gulf Coast University, who awarded him their “Leadership Award,” recognizing two terms as Chair of the Resort and Hospitality Program’s Advisory Board 2009; “Outstanding Partner,” by Big Brothers Big Sisters 2003-2005; the Lee County Board of Commissioner’s Horizon Council’s Horizon Award for exceptional level of leadership, innovation, investment and community involvement in Southwest Florida 2005. The Junonia Award by Lee County’s Visitor and Convention Bureau for exceptional level of leadership, innovation, investment and community involvement in Southwest Florida 2005. Brian Holly resides in Southwest Florida with his wife, Sherri and two children Donovan and Eva. He enjoys coaching baseball, cooking and plays percussion in a local band for charity events.